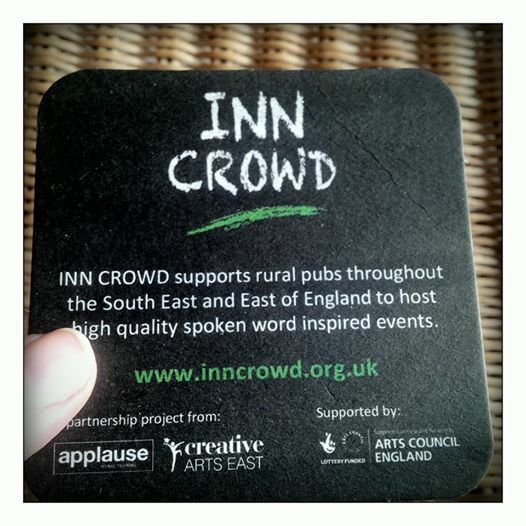 Jaybird Live Literature is delighted to be working for Applause, Creative Arts East, Writers' Centre Norwich and New Writing South to help deliver Inn Crowd, a project touring high quality live literature events to rural pubs throughout the South East and East of England. The project is intended to re-establish pubs as central to rural community life by bringing exceptional cultural experiences to new audiences. Over the next few months, JLL will help bring poets, storytellers and spoken word to audiences hungry (and thirsty) for great literature - and we'll report here on the project, round by round.